Inspire wisdom with this beautiful Athena costume! 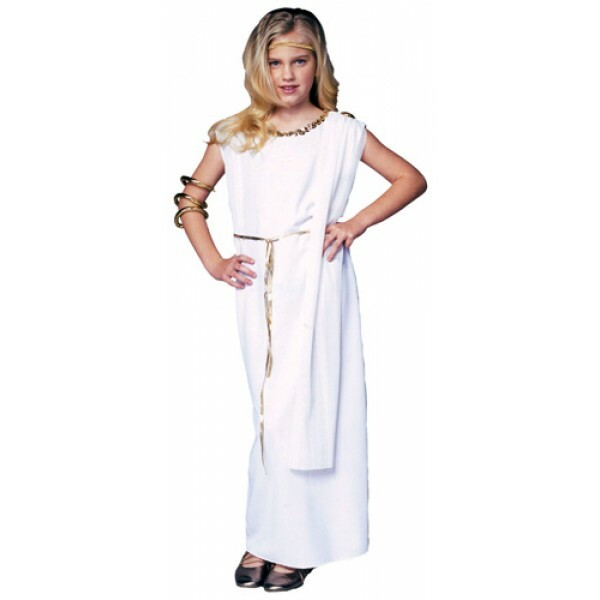 Perfect for school projects, Halloween and every day dress up, this set includes a toga with attached shoulder drape and cord belt. Please note: headpiece and jewellery not included. To browse our wide selection of girl-empowering costumes, visit our Costumes / Dress-up Clothing section.